Get ready to set sail around the globe with Meridian by Whistler Studios. This cartographic collection features a map of the world on a main panel, accompanied by a continental word print, all over compasses, and a map grid. 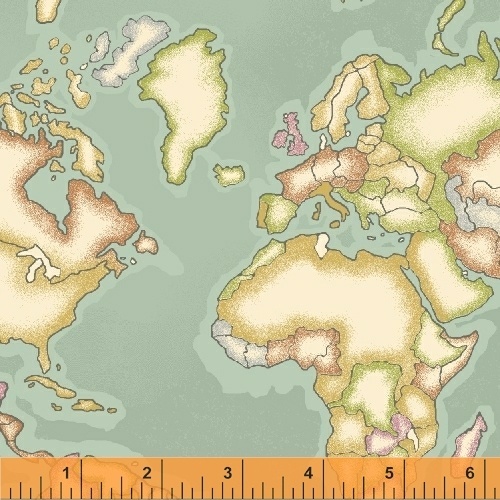 Cut up the panel to make map pillows or keep it whole and sew coordinates around it for a unique map of the world quilt. This collection is sure to be appreciated by land lovers and sailors alike. 15 skus. On sale August 2017. Delivery to stores December 2017.